Banda Aceh, is an autonomous province in the north of Sumatra, and the only place in Indonesia – the country with the world’s largest Muslim population – where sharia law is currently implemented. Aceh was the hardest-hit area by the 2004 tsunami where over 170,000 inhabitants tragically lost their lives. Many Acehnese viewed the disaster as punishment for their lack of devotion to God. Though Sharia law was only officially introduced in 2011, the cataclysm helped religious authorities to accelerate radicalization within the society. Alcohol, gambling, not dressing according to Islamic code, premarital romance, and adultery are now outlawed and punishable by public flogging. A feared “Sharia police” team doles out warnings and passes transgressors on to the relevant authorities. 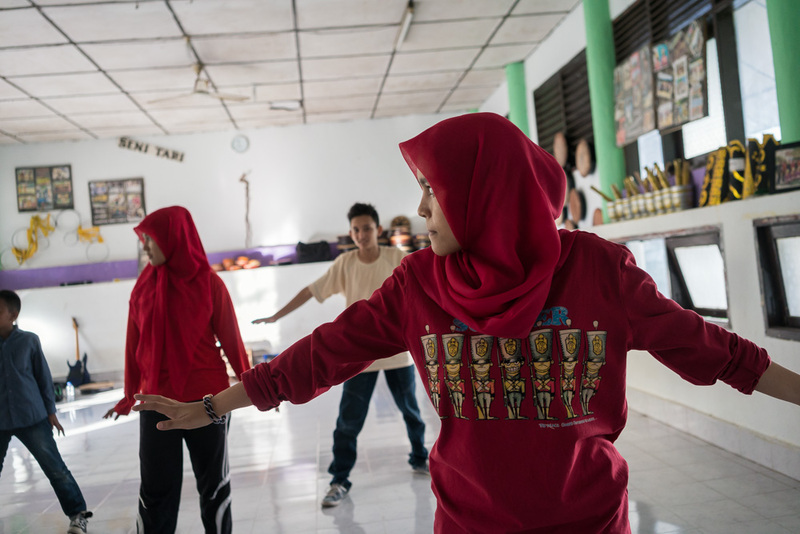 In March 2016, I spent 10 days with the youth of Banda Aceh, I explored unseen subcultures, and followed the lives of artists, musicians, dancers, skaters and surfers; documenting their efforts to find their own space in a conservative and closed society.